Over the next week, I'll be posting about the St. Louis International Film Festival, which is celebrating its 20th anniversary. My first screening was the Takeshi Kitano yakuza film Outrage, originally released last year but just now showing up in many cities. Originally a comedy star on Japanese television, Takeshi Kitano (aka Beat Takeshi) rose to international fame as a director of yakuza dramas during the 1990s. He’s known primarily for Sonatine and Fireworks (Hana-bi), which offered remarkable visions of violence and beauty. His stunning long takes can resemble intricate paintings while his characters enjoy a brief respite from the ruthlessness of the real world. There’s little of that sanctuary in his latest work Outrage (Autoriji), a nasty depiction of yakuza life in the 21st century. The story opens with a striking wide shot of a large group of gangsters dressed in black as their leaders meet. These guys have sworn allegiance to their bosses, but it means little once the bullets start flying. This film most closely resembles 2000’s Brother, but it outdoes that picture by remaining unpredictable with constant betrayals. 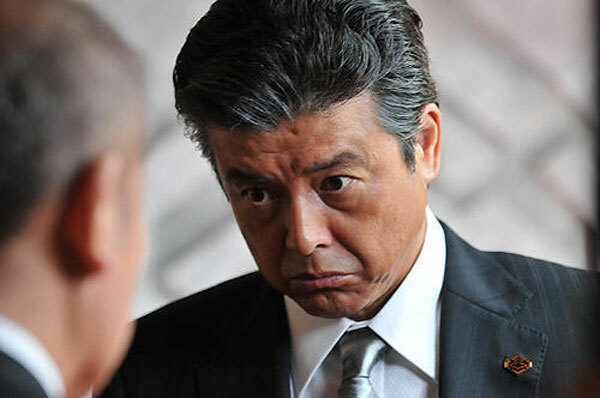 Kitano plays Otomo, a veteran tough guy who loyally supports his boss Ikemoto (Jun Kunimura). The problems start when the Chairman of the entire organization grows concerned with Ikemoto’s connection to the drug lord Murase (Renji Ishibashi). They’re sworn brothers, but it means little when the boss is questioning their business relationship. Hoping to save face without starting a war, Ikemoto employs Otomo’s group to use subtle methods against Murase. This is not a wise idea. One violent act leads to a bloodier retaliation, and the chain reaction leads to an all-out massacre. Kitano is no stranger to violence and has employed it to great use throughout his career. Even considering that fact, Outrage marks a new high in brutality. There is no easy way to die in this world. The guys who only lose a finger are the lucky ones. Multiple sequences involve characters chopping off their own fingers, including one with a very dull knife. The violence involves a chopstick to the head, a knife to the tongue, and a lead pipe to the face, to name a few. One of the most charismatic gangsters ends up getting nearly beheaded thanks to a rope and a moving car. No one is safe because trust is nonexistent across the board. Even the dialogue is ruthless as they hurl guttural insults and dare each other to act. The effect of this rampant violence is heightened by the excellent sound design, which raises the volume of each punch to almost comic levels. Kitano employs a minimal score and usually drops it all together once the mayhem begins. This keeps the focus on the violent acts, which are shot in close-up for maximum effects. It’s nearly impossible to watch certain moments without turning away at some point. This approach makes it even more effective when the camera doesn’t show the blood. One of the best sequences has Otomo entering a sauna and quickly firing off six bullets, two for each of the three guys. It reveals his unflinching approach to the job while directing his moves right at the audience. Outrage could easily become a monotonous, unending series of killings in lesser hands. Instead, Kitano makes the audience pay attention by consistently subverting expectations. Many characters play a key role, so it’s never clear who the protagonist actually is. Otomo and his reliable younger associate Mizuno (Kippei Shiina) are the most likable figures, but even they betray friends and deal out cruelty. There are obvious antagonists like a corrupt cop and the Chairman, but they’re a product of the environment. Also, the plot is extremely complex, with the winners consistently shifting around to stay on the game board. Once another guy becomes an enemy, he needs to die or will return seeking retribution. Honor and loyalty have no place in this world, so even long-time allies can become enemies in the blink of an eye. Considered in terms of Kitano’s career, Outrage doesn’t reach the transcendent levels of Fireworks but still provides an effective look at the yakuza domain. It easily outdoes Zatoichi and Brother and represents an excellent return to form. Similar to Nicolas Winding Refn’s Drive but on a much grander scale, the violence plays out with a surprising quickness that can be off-putting to some viewers. Kitano is already planning a sequel for next year, which is interesting since only a few characters reach the end credits. Regardless, this environment should provide fertile ground for him to continue to explore the rougher side of the criminal enterprise. Great review; and I'm glad you liked it. Yes. The violence is so over the top at times that it drew some laughs from me. I also enjoyed how the characters spit out their lines nastily and go right from chatting to slicing up the other guys' faces. There's a lot of scenery chewing, and it really worked for me.